The Bible molded modern English and shaped American society and culture. Now, as attacks on the Museum of the Bible suggest, it has been cripplingly tossed aside. Visitors walk through the Ark of the Covenant exhibit at the new Museum of the Bible in Washington, D.C. SAUL LOEB/AFP/Getty Images. Can a leopard change its spots? Is anything new under the sun? How have the mighty fallen? Is there a phrase in the English language that has not been shaped by translations of the Hebrew Bible (Tanakh)? 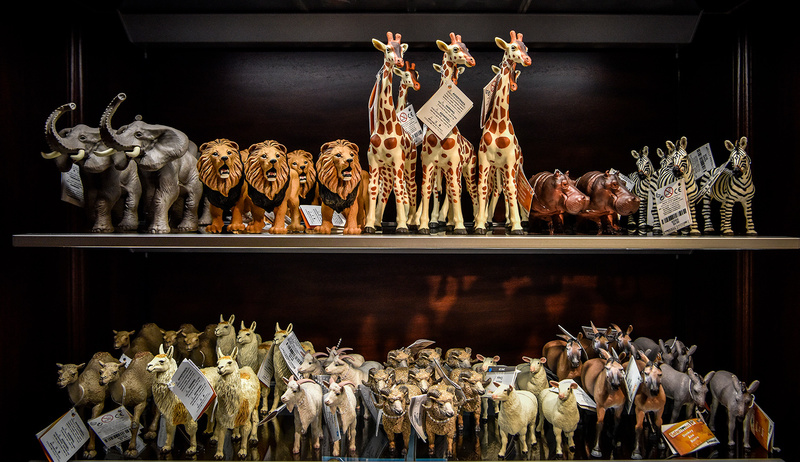 Or—if you’re imagining a wolf in sheep’s clothing, or thinking it better to give than to receive, or holding that faith can move mountains—shaped by the Christian Bible or New Testament that in most editions is joined to those more ancient texts? At the new Museum of the Bible on the National Mall—the subject of Diana Muir Appelbaum’s new essay in Mosaic—the galleries with the least apparent significance, offering minimal special effects but the most promotional content, may really be the most important. They may also be the least appreciated by much of the enlightened opinion on the museum that Appelbaum cites so effectively. 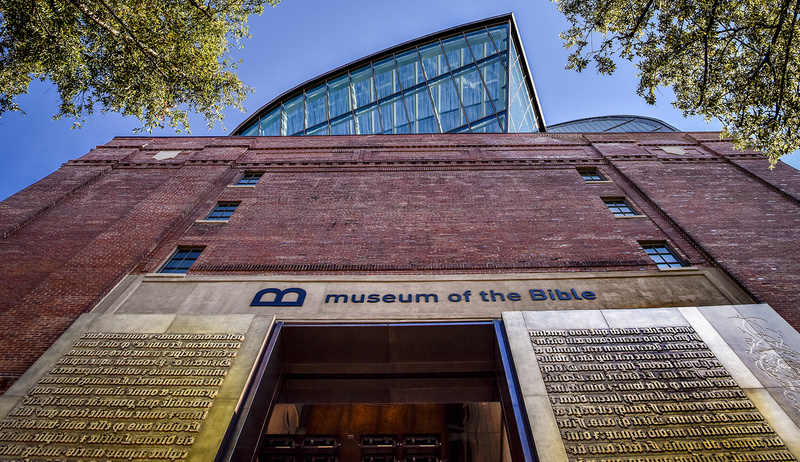 These are the galleries devoted to the Bible’s impact, an impact that has been, by any standard, immense—and that is one of the central points made by this $800-million museum. 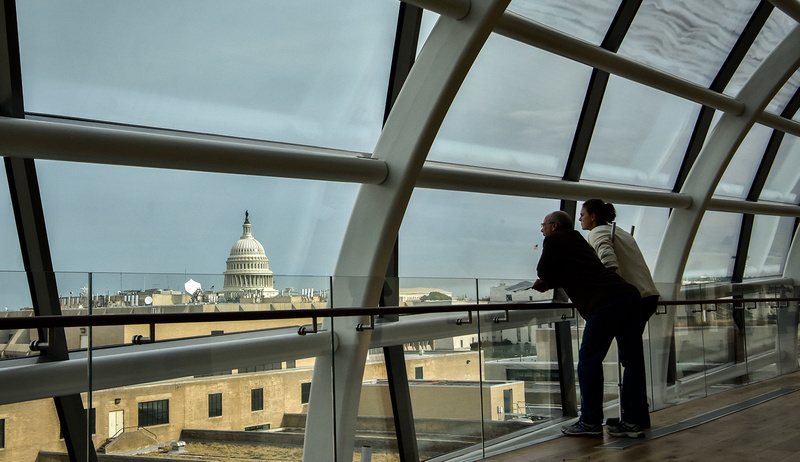 Most of one floor in the museum is divided into areas of human endeavor reflecting biblical influence: science, justice, health, commerce, language, fashion, art. At first the plenitude might seem absurd, as if no pebble has been left unturned. Actually, however, so few are the aspects of Western civilization and culture untouched by the Bible that the exhibits may not go far enough. The Bible’s interpretation of divine history, and humanity’s attempts to comprehend that history and its interpretation, may form a crucial factor in accounting for the West’s success in molding the material world to the purposes of human advancement and wreaking such extraordinary transformations in governance, science, and art. This notion now evidently strikes many as a modern heresy: a refusal to appreciate the basic importance of science and reason themselves, retreating instead to the sentimental celebration of a dated, hierarchical universe of values in which menstruating women are ceremonially unclean, homosexuals are deserving of death, and warfare is just another form of self-righteous murder. Indeed, those most afraid of the Museum of the Bible are also, as Appelbaum suggests, the most scornful of the Bible itself. 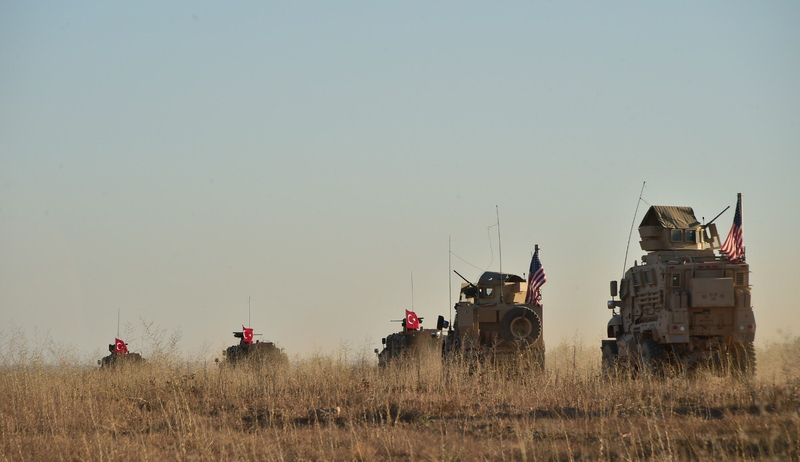 And, often, they have the least acquaintance with what they are condemning, not even recognizing how their own inflated sense of virtue has been shaped by that which they dismiss. For the texts of the Hebrew Bible may be read not only as divine word but as the voice of humanity: an extraordinary account of the birth of a people, its fitful adoption of a code of law, and its wavering visions of a just and righteous society. Thus, in the museum’s compact but crucial section devoted to the biblical influence on the founding of the United States, one learns that the Bible was used both to support slavery and to oppose it: proof in itself of the difficulty of the interpretive enterprise. A more detailed exploration of the text would have helped further explain just how the Bible figured so prominently in the slavery debate. Such an exploration might show, first, that in the pre-biblical world, slavery was an invisible institution, taken for granted by all known human societies. In those circumstances, it would have been as absurd to imagine slavery’s disappearance as to imagine a community without childbirth. But pretty early on in the Hebrew Bible, slavery is made visible; it becomes a central phenomenon in the biblical narrative—and one that, unlike anywhere else in the world at that time, bears no relationship to enslavement as the common fate of those vanquished in war. 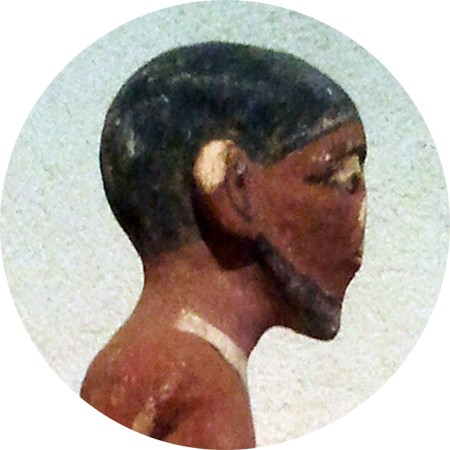 Once the Israelites settle in their land, the problem posed by slavery is a recurring theme. In ancient biblical civil law, the institution itself is periodically undone in 50-year jubilee cycles. In brief, the Bible turned slavery into an issue, subject to divine oversight and to human interpretation. This meant it could also be abolished. The influence of the Bible on early American self-understanding was even broader, and hardly restricted to those Puritans who believed that Mosaic law might provide a guide for the New World or that Hebrew might become the New World’s principal language. The museum’s survey of these ideas is at once cursory and expansive. The Bible’s continuing presence is demonstrated in a series of books on display: William Penn’s The Great Case of Liberty of Conscience; the Sauer/Saur Bible, the first German-language Bible printed in North America; the Eliot Indian Bible, the first Native American-language Bible published in North America; Thomas Paine’s Common Sense; and a 20th-century copy of the Jefferson Bible, given to new members of Congress for nearly five decades. The museum also offers a theatrical “ride” that I couldn’t see in my early visit. As Appelbaum relates, it offers a virtual journey past sites in Washington that feature biblical quotations or allusions: the Library of Congress, the Supreme Court, the Capitol Building, the Jefferson Memorial, the Martin Luther King, Jr. Memorial, the Lincoln Memorial, the Washington Monument, the U.S. Holocaust Memorial Museum, and Arlington National Cemetery. Here influence is vividly demonstrated in stone. The separation of church and state, much on the minds of the museum’s critics, is not at stake in any of this. Rather, what we experience is a simple recognition that this nation was founded on a set of ideas, and those ideas could not have taken the shape they did without the influence of the Bible. Actually, the Bible created a kind of lingua franca not just for one but for a wide variety of cultural and national traditions. 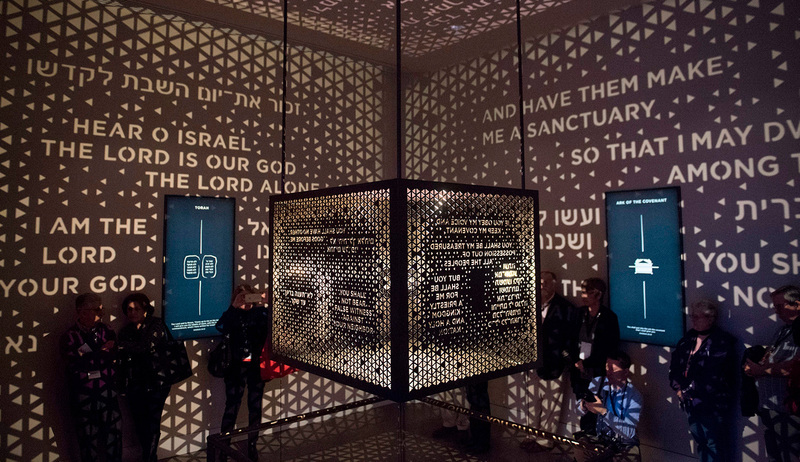 Perhaps because the museum is focused on the Bible’s singularity, its displays are not all that revealing about how the Bible was transformed through its history, with different religions establishing different relationships to the text. Distinctions among Protestantism, the Eastern Church, and the Roman Catholic Church would have been revealing in this respect. Similarly revealing would be a closer examination of the distinctive Jewish perspective, itself shaped by the fact that consecutive sections of the first five books of the Hebrew Bible—the Torah—are read aloud in synagogues each week, with the result that over the course of every year all five books are re-read from beginning to end. This creates a relationship between Judaism and the text that is not shared by any other faith: neither by Christianity, which viewed the Hebrew Bible as superseded by its own new “testament,” nor by Islam, which saw both the Hebrew Bible and the New Testament as subsidiary latecomers to an ur-revelation, nor by Mormonism, which used the Hebrew Bible as deep background for a New World narrative. 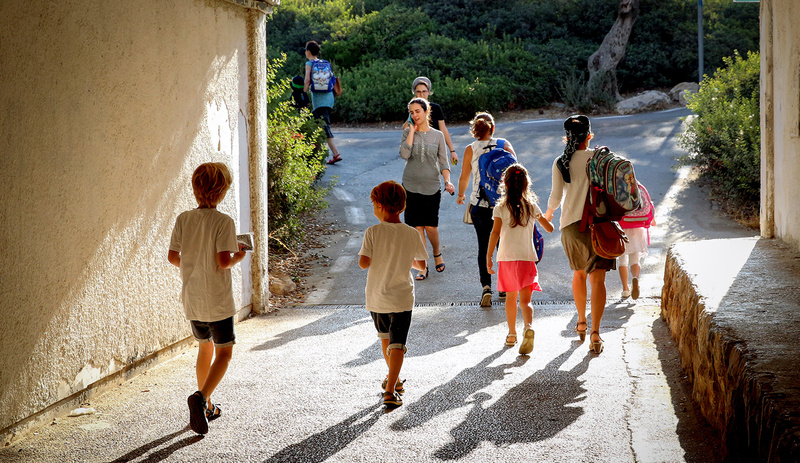 This Judaic connection, and its ongoing relevance, rightly deserves attention in itself. Appelbaum is correct, however, in contending that the Museum of the Bible, an institution created by evangelical Protestants, is evangelical about the Bible but not about belief. And this, as she notes, required an extraordinary transformation in the museum’s ambitions that deserves considerable praise. In 2010, the museum’s stated mission was “to bring to life the living word of God . . . and to inspire confidence in the absolute authority and reliability of the Bible.” By 2012, it had a different goal: to demonstrate the centrality of the Bible, to celebrate its long and powerful history, and to affirm its continued importance, even—or perhaps especially—in a multicultural world. There is one other, related point on which the museum is silent, perhaps in a preemptive effort to assuage those disturbed by any hint of religious advocacy. 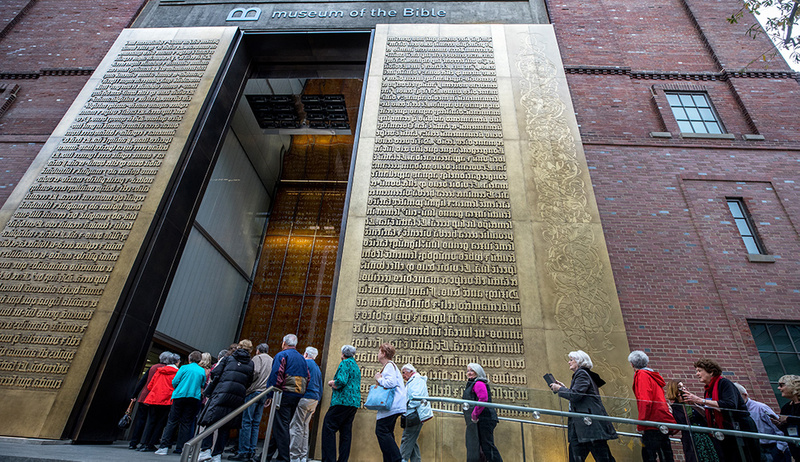 As the museum amply demonstrates, the Bible was once the spur both to literacy and to printing—which is why it makes sense for enormous replicas of two Gutenberg printing plates to frame the museum’s doors. It became the center of the life of the learned for two millennia. Libraries of religious books are devoted to commentary and elucidation. In the great King James translation, it molded modern English and gave texture to the novels of George Eliot and Thomas Hardy. Yet in contemporary advanced American culture, it has been now tossed aside, so casually and crudely that it is possible to go through twenty years of schooling and never have studied or read a single word of the Bible. The rejection of the Bible—a rejection based on ignorance, misunderstanding, and prejudice—has led to vast cultural illiteracy. It is, or should be, a national embarrassment and concern (for, as it is said, a kingdom divided against itself cannot stand). From this perspective, it is perhaps no wonder that the museum should have reaped a whirlwind of anxiety and distaste stirred by critics forced to confront their own educational deficiencies and to strike out at that of which they know nothing. This widespread cultural illiteracy is the result of a decision made by several generations of sophisticated philistines to stop up wells of living water protected by earlier generations, even as the civilization that evolved out of the achievements of Athens and Jerusalem has been exiled to purgatory or worse, its still small voice unattended and unheralded. As Diana Muir Appelbaum points out, the Museum of the Bible reminds us of matters too long forgotten. Sure, it is proselytizing, but for something we should already accept.